This trip to Venice doesn't start off in the UK as most of my trips do. Instead this one started off in Italy from Genoa (a.k.a Genova in Italian and French). I got there by taking part in a charity hitchhike, so Genoa is the starting point for this trip. After getting ready, we got our first quick glimpse of Genoa but it wasn't to last as we had a mere 15 minutes to get to the train station and get tickets. 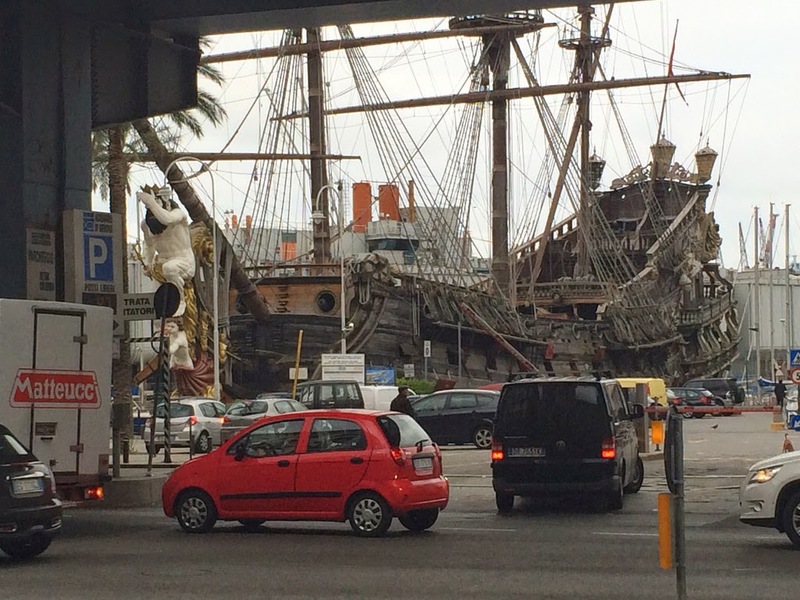 As we rounded the corner just outside our hotel we saw this really cool ship! A bit of speed walking, speed ticket-purchasing and full on running later we were on our train. This was indirect Trenitalia train to Venice via Milan, with tickets at about 50e it was a bit pricey, but then again it is a 400km journey (and about 5 hours in total with a stopover). The train was very busy which was the first we'd seen it like this so that was a bit strange, but I guess we were going to Milan. The trains didn't have the ever-vital plug sockets which was a bit annoying but at least we got seats! On arrival at Milan it was time for a late breakfast/early lunch and of course to have the full Italian experience I opted for...Burger King. 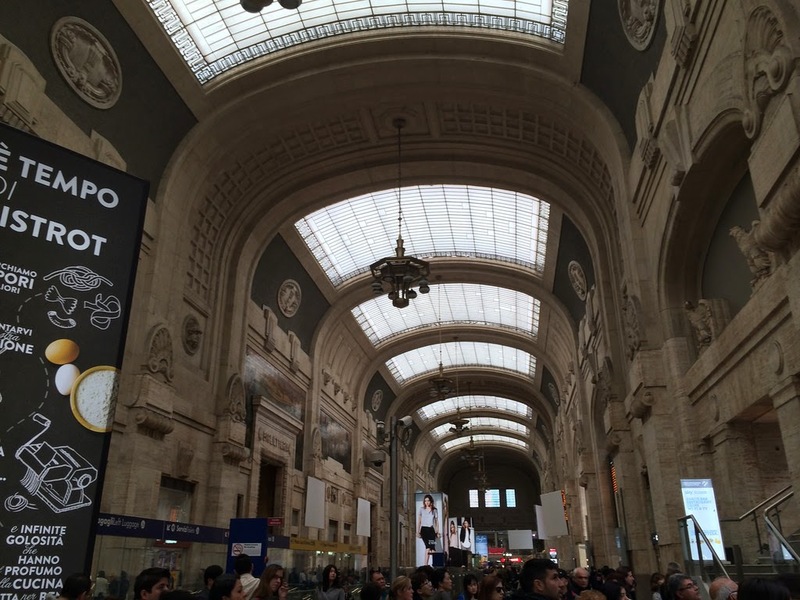 With a stopover of just 45 minutes between trains, it was soon time to board the next train - this time a 2 and a half hour train journey to Venice. Rosanna and I had assigned seats two carriages apart which was fine. During the journey I took in the scenery, listened to music and podcasts (the £5 per day unlimited internet on Three worked out pretty well for streaming) and also chatted to a lady sitting the aisle across from me. This lady initially started by speaking to me in Italian, then I told her I only spoke in English. She quickly switched to English as she needed help with her computer. We ended up chatting for next hour or so (even during a 30 minute train breakdown) and I found out she was a secondary school teacher learning English and her name was Alessandra. I learned quite a bit about Italian culture, her life, she was hugely interested in the idea of the Jailbreak we had just done, and she even told me about the time when she visited London and lived off Red Bull, Parmesan cheese and Twix as she didn't like English food! It was really nice to have someone to talk to for so long and it's always great to meet new people, plus she translated what the problem with the train was, apparently a window had smashed and they had to move passengers out of the carriage - and she got to practice her English too, plus I learned a few bits of Italian, win-win really. 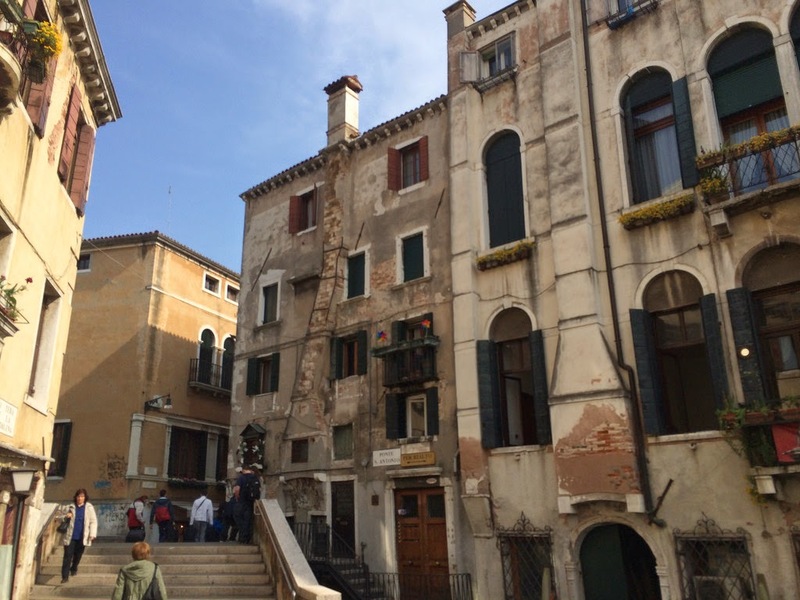 Once in Venice, Rosanna and I reunited on the platform and started walking towards the hostel/cheap hotel we'd seen online. We of course took a touristy, round-about way of getting there to take in some of the culture along the way. The hostel was decent but not as nice as the hotel we stayed at in Genova which was a real bargain. It was €42 for 2 nights which isn't too bad at all. 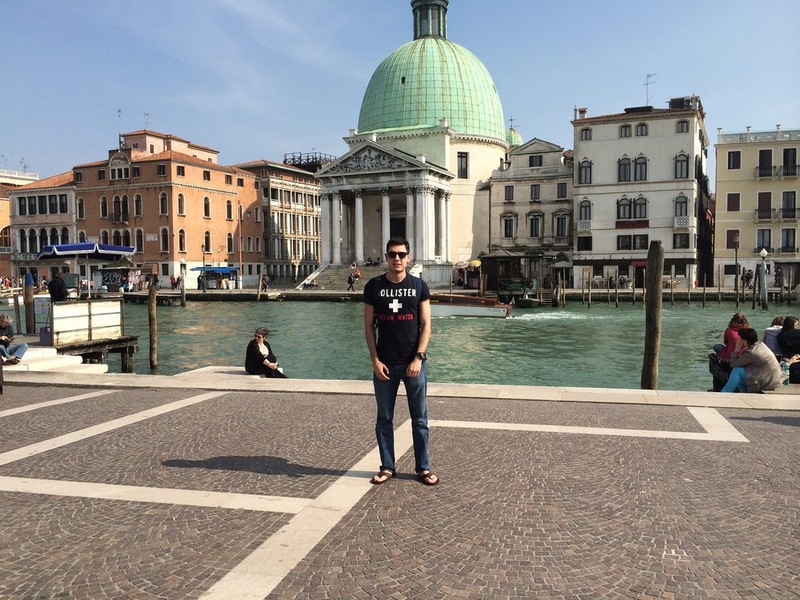 Venice was incredibly picturesque and temperatures reached 17 degrees which was nice. 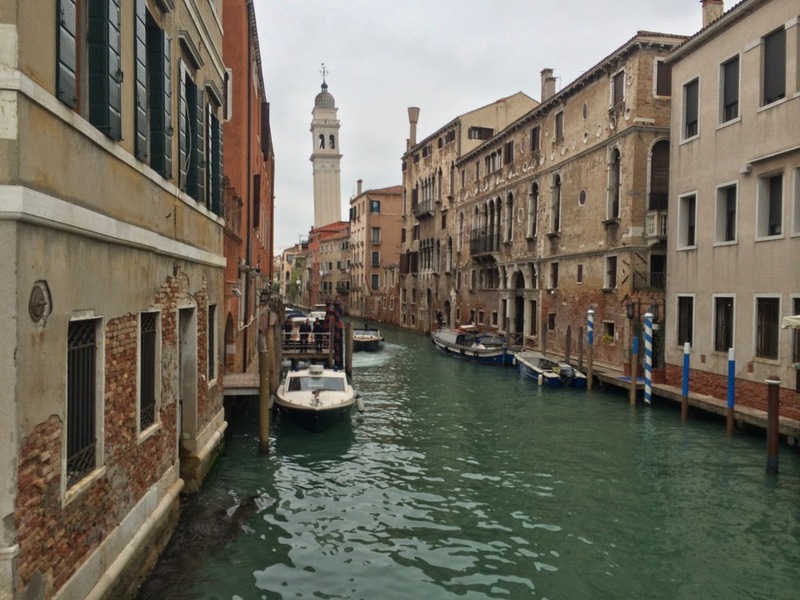 Venice is really a place that you can just walk around in and look at all the streets, and canals and then once in a while come up to a big monument. There's no pressure to get in long queues to go and see monument after monument, though there are still a few to see. After dropping our stuff off at the hotel, we got some ice cream by the Grand Canal and then I went back for a nap whilst Rosanna went to explore. I had had a good night's sleep but still really needed a rest. I didn't really get to sleep during this time but I caught up on a few emails and worked on some emails that needed to be sent out for a university project. Picturesque, even with the cloudy sky. Next, it was time for dinner. To be honest, it was nothing special plus there was a compulsory 15% service charge and then a cover charge (3 euros per person) on top. 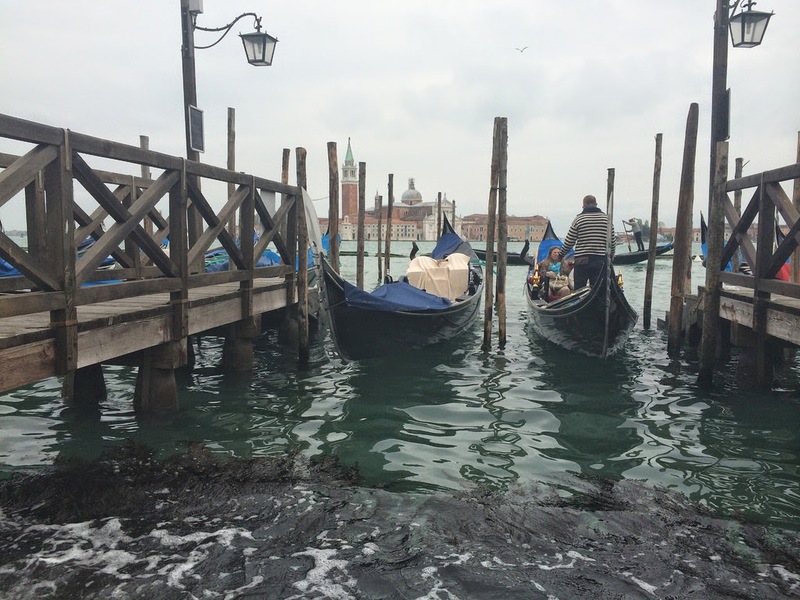 Cover charges are commonplace in Italy in tourist-laden areas. I got a pizza (the toppings were not the best quality) and a coke and the total came to €25. Ouch. The coke alone was €5.50. I definitely won't be going back. Reviewers on Tripadvisor do disagree with me though, but compulsory charges are not my kind of thing. After that somewhat sobering experience it was time to head back to the hostel and book a flight on Friday to Leeds Bradford Airport. Read Day 2 and 3 here.